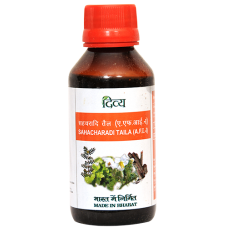 Sahacharadi Thailam 100ml is an ayurvedic herbal oil used in Vata imbalance disorders, muscle and joint stiffness and convulsions. It helps to relieve rhinitis and sinusitis.It is useful in gynaecological disorders. 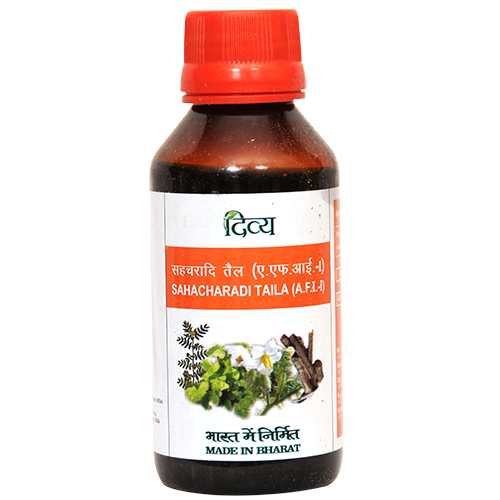 It is used orally and also for massage. Indications: Useful in vata vyadhi, kampa, yoni roga.